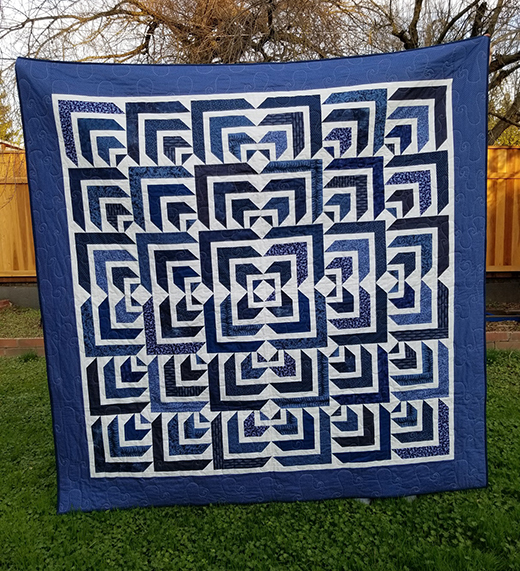 This Pinwheel Path Table Topper designed by Sue Harvey of FreePatterns, The Pattern is available for free. 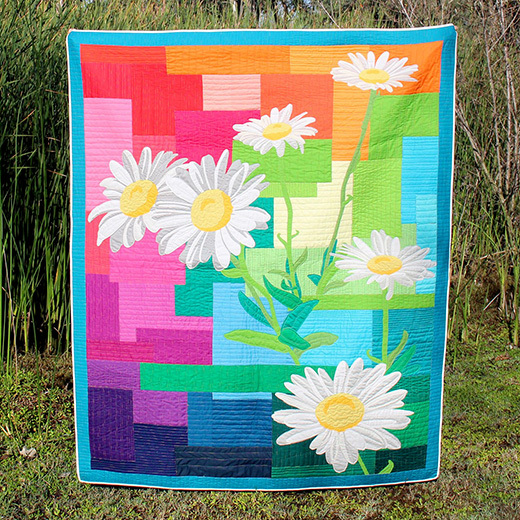 This Twist and Shout Quilt made by StrawberryQuiltcake, The Pattern Designed by Stacey Day of Stacey in Stitches, Featuring Tabby Road by Tula Pink and True Colors by Tula Pink, The pattern is available for Free. Vibrant prints foundation-pieced to a background form cascading cubes made from two mirror-image blocks.